Golda Meir was best known as the fourth Prime Minister of Israel and the first woman to hold the title. Golda Meir was an Israeli politician born on May 3, 1898, in Kiev, Ukraine. She and her family immigrated to Milwaukee, Wisconsin, where she became an active Zionist. From the 1940s through the 1960s, Meir worked for the Israeli government in various roles including as Minister of Labor and Foreign Minister. In 1969, party factions appointed her as the country’s fourth Prime Minister, thereby also becoming the world’s third woman with that title. She died in Jerusalem on December 8, 1978. Golda Meir was born Goldie Mabovitch in Kiev, Ukraine on May 3, 1898, the daughter of Moshe and Bluma Mabovitch. Her autobiography tells of her father boarding up the house during the 1905 Kiev pogrom where mobs killed over 100 Jews. That year, the family moved to Milwaukee, Wisconsin, where Golda attended North Division High School and joined a Zionist group that supported the establishment of a Jewish homeland in Palestine. In 1916-17, Golda Mabovitch attended Milwaukee Normal School (now the University of Wisconsin-Milwaukee) over the objections of her parents, who wanted her to get married rather than pursue a profession. She did both, attaining a teaching certificate and marrying Morris Meyerson. In 1921, Golda and Morris Meyerson (she officially Hebraized her name from Meyerson to Meir in 1956) immigrated to Palestine and joined the Merhavia kibbutz, a communal settlement. In 1924, the couple moved to Jerusalem and soon had a son, Menachem, and a daughter, Sarah. Golda intensified her political activity by representing the Histadrut Trade Union and serving as a delegate to the World Zionist Organization. Before World War II, much of the Middle East was under the control of France and Great Britain, as prescribed by the secret Sykes-Picot Agreement of 1916 (officially termed the 1916 Asia Minor Agreement). British officials made promises to establish a Jewish homeland, but this never materialized and the matter was left for the next generation. The British White Paper of 1939 only called for a Jewish homeland, not a Jewish state and it allowed Arab officials to determine the rate of Jewish immigration. 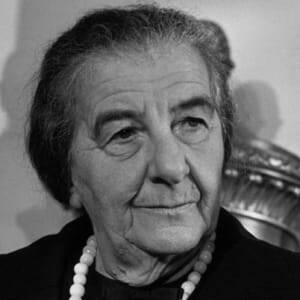 During the war, Golda Meir emerged as a powerful spokesperson for the Zionist movement and fought hard against the policy, pleading that increased Jewish immigration was crucial in light of the persecution by the German Nazi regime. The British intensified their enforcement of the White Paper policy by arresting many Jewish activists and illegal immigrants. When Moshe Shertok-Sharett was arrested, Golda Meir replaced him as chief liaison with the British. She worked to free him and many Jewish war refugees who had violated the British immigration policy. Meir later organized fundraising events in the United States for an Israeli independent state. In 1948, Israel declared its independence and Golda Meir was one of the signers of Israel’s declaration. That same year, she was appointed minister to Moscow, but when hostilities broke out between Arab countries and Israel, she returned and was elected to the Israeli Parliament. Israeli Prime Minister David Ben-Gurion sent Meir on a secret mission, disguised as an Arab, to plead with King Abdullah I not to enter in a war against Israel. 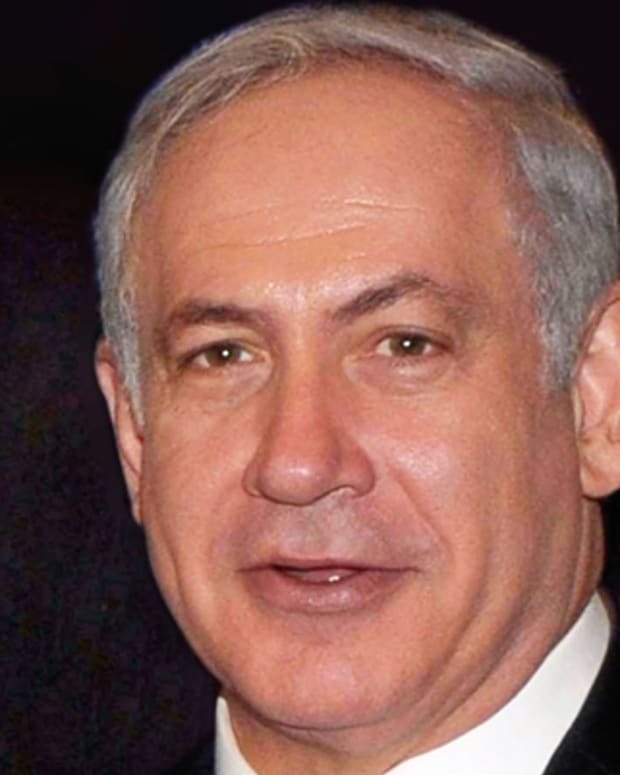 He declined and the conflict expanded to include the nations of Egypt, Transjordan, Iraq and Syria against Israel. Hostilities ended with an armistice that preserved Israeli independence and increased its size by 50 percent. Golda Meir served as minister of labor and worked to solve Israel’s housing and employment problems by implementing major residential and infrastructure construction projects. In 1956, she was appointed foreign minister and helped establish relations with emerging African countries and strengthened ties with the United States and Latin America. 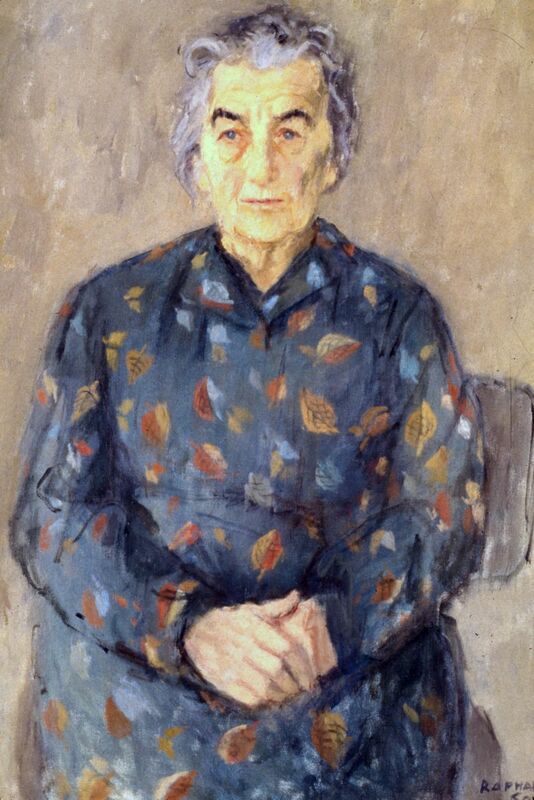 At age 68, Golda Meir wanted to retire from public life. She was tired and ill but members of the Mapai political party encouraged her to serve as the party’s secretary general. Over the next two years, she helped merge her party and two dissident political parties into the Israel Labor Party. Following the death of Prime Minister Levi Eshkol in 1969, she put off retirement again and agreed to serve out the remainder of his term. That same year, her party won the elections, giving her a four-year term as prime minister. During her tenure, she gained economic and military aid from U.S. President Richard Nixon, which helped her open peace talks with the United Arab Republic in hopes of ending hostilities. During the relative period of peace between the 1967 and 1973 Arab-Israeli wars, Golda Meir straddled the line between radicals who wanted to settle the captured territory of the 1967 war (which she supported) and proposals by moderates who favored giving up land claims in exchange for peace. The debate ended with the outbreak of the Arab-Israeli war on October 6, 1973, which is also known as the Yom Kippur War. Syrian forces had been massing along the Golan Heights. Concerned that a preemptive strike would bring condemnation by international supporters, especially the United States, Meir prepared for a defensive war. Syrian forces attacked from the north and Egypt attacked from the west. After three weeks, Israel was victorious and had gained more Arab land. Golda Meir formed a new coalition government but resigned on April 10, 1974, exhausted and willing to let others lead. She was succeeded by Yitzhak Rabin. Though she remained an important political figure, Golda Meir retired for good and published her autobiography, My Life, in 1975. 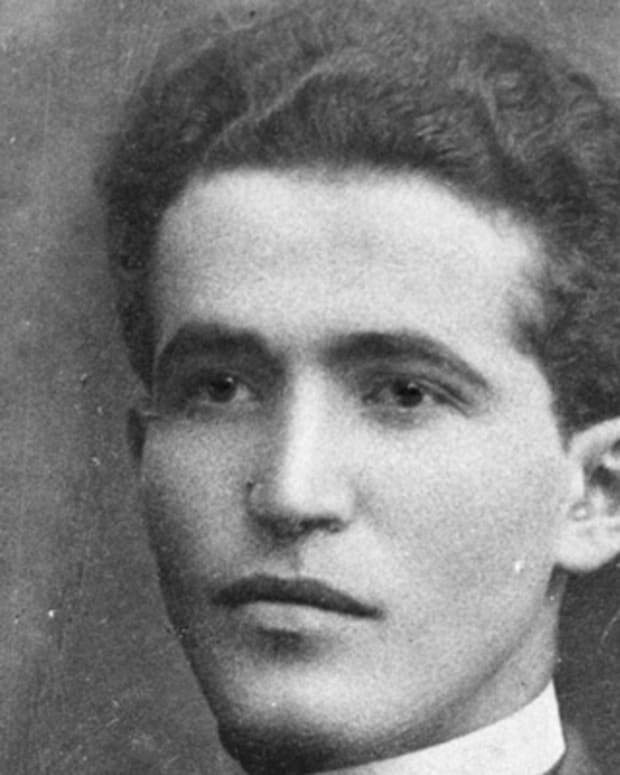 On December 8, 1978, Meir died in Jerusalem at the age of 80. It was revealed that she suffered from leukemia. She was buried on December 12, 1978 at Mount Herzl in Jerusalem. A Zionist statesman and political leader, David Ben-Gurion was the first prime minister and defense minister of Israel. Israeli Prime Minister Benjamin Netanyahu served the Japanese prime minister, Shinzo Abe, dessert in a shoe--highly offensive to Japanese. Several Israeli officials and diplomats voiced disbelief, as the Japanese are known not to wear shoes at home or often even at work. 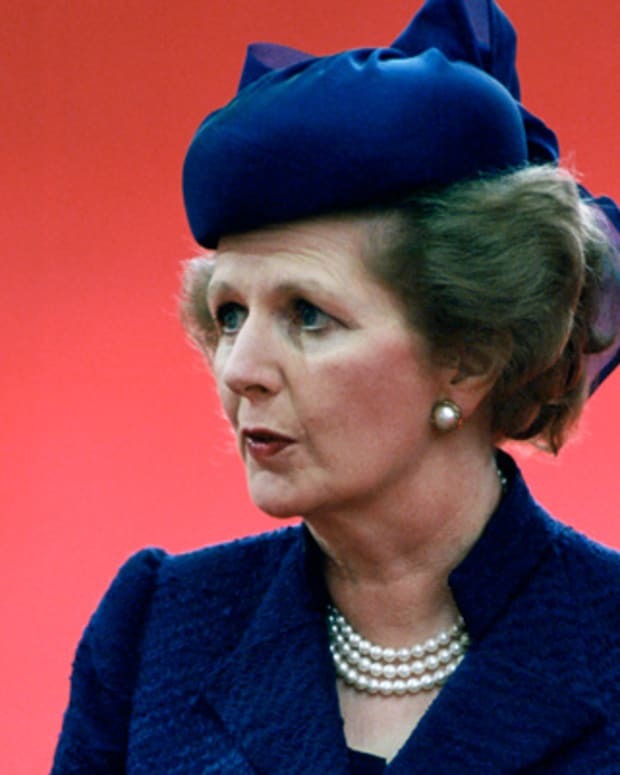 The first female prime minister of Britain, Margaret Thatcher was a controversial figurehead of conservative ideology during her time in office. 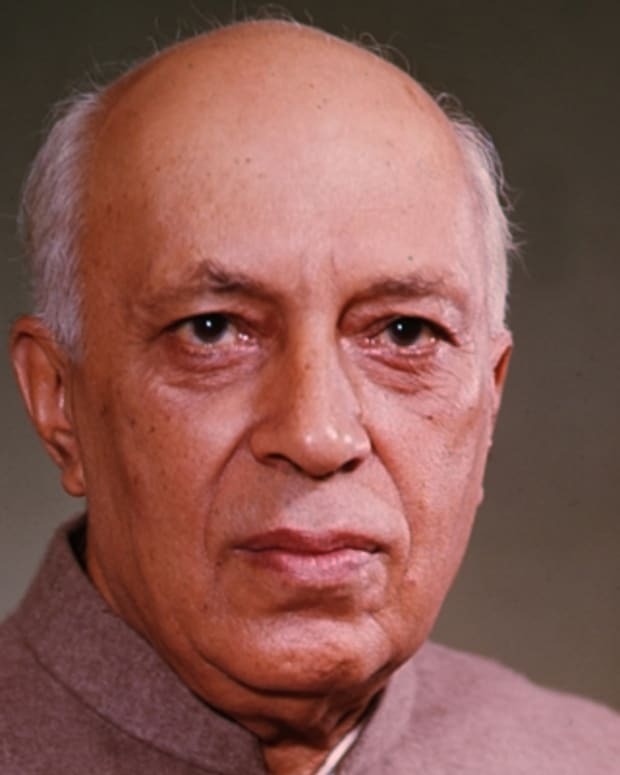 Jawaharlal Nehru, Indira Gandhi’s father, was a leader of India’s nationalist movement and became India’s first prime minister after its independence. 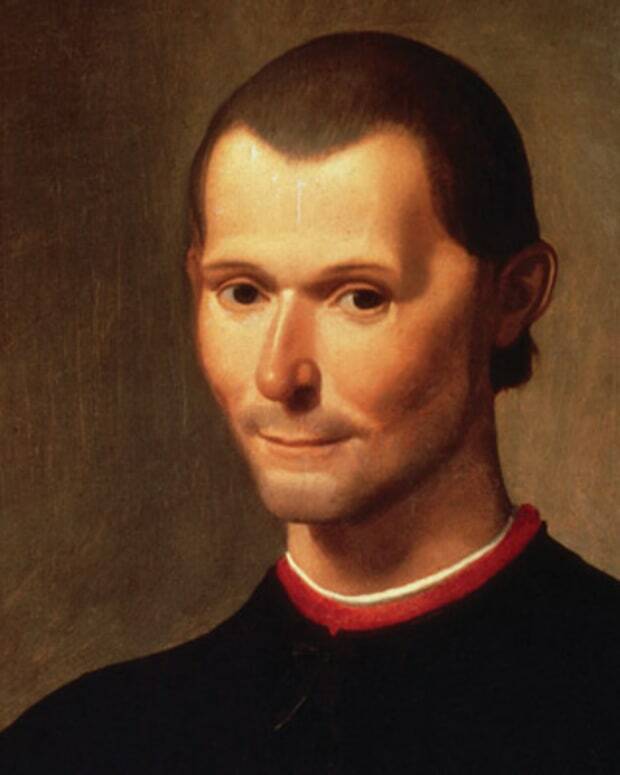 Italian diplomat Niccolò Machiavelli is best known for writing The Prince, a handbook for unscrupulous politicians that inspired the term "Machiavellian" and established its author as the "father of modern political theory." 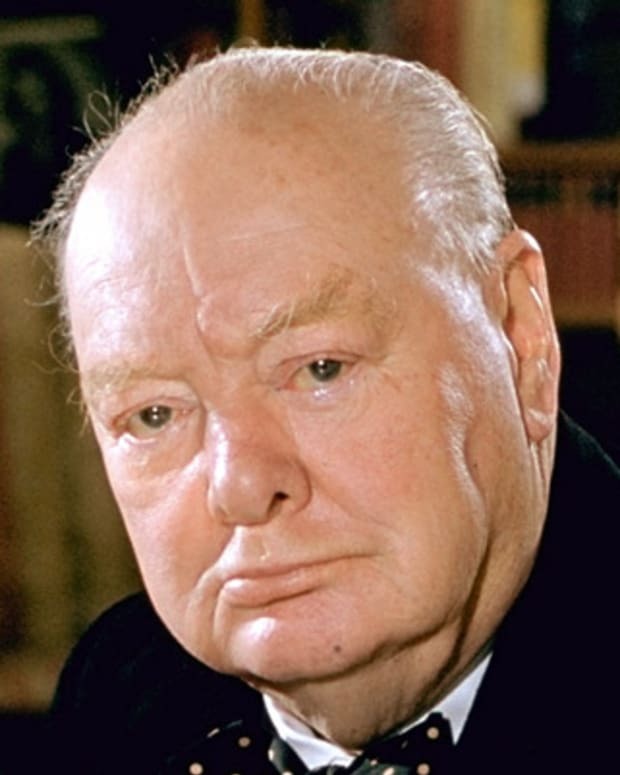 As prime minister, Sir Winston Churchill rallied the British people during WWII, and led his country from the brink of defeat to victory. 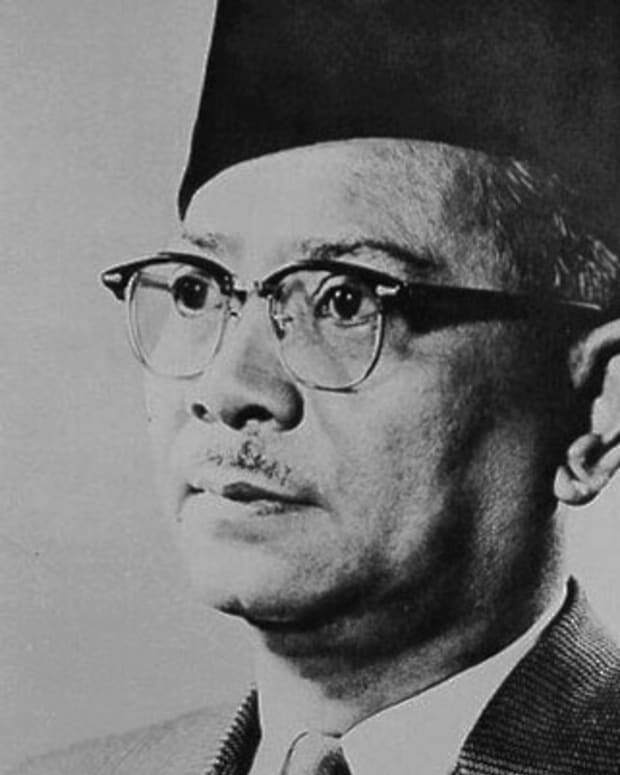 Tunku Abdul Rahman was chief minister of the Federation of Malaya (1955–1957), the first prime minister of an independent Malaya (1957–1963), and the prime minister of Malaysia (1963–1970). 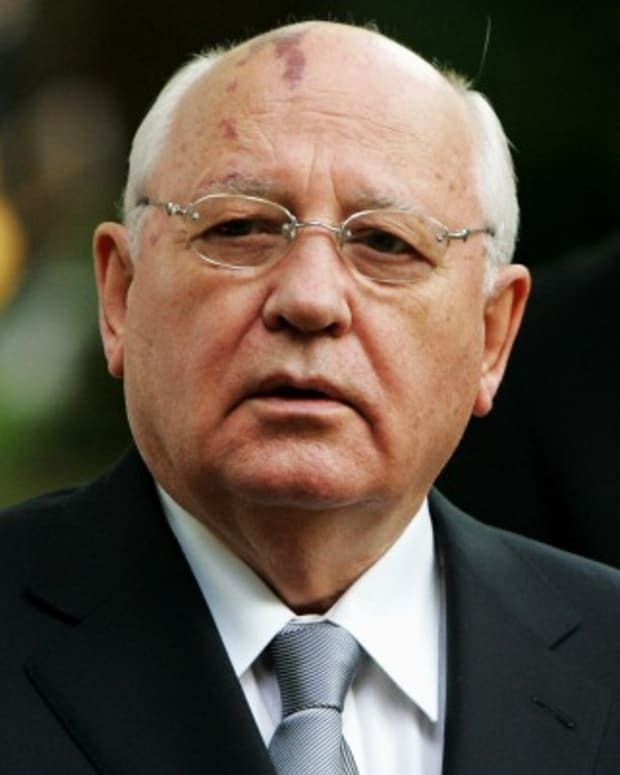 Mikhail Gorbachev was the first president of the Soviet Union, serving from 1990 to 1991. He was awarded the Nobel Prize for Peace for his leadership role in ending the Cold War and promoting peaceful international relations. 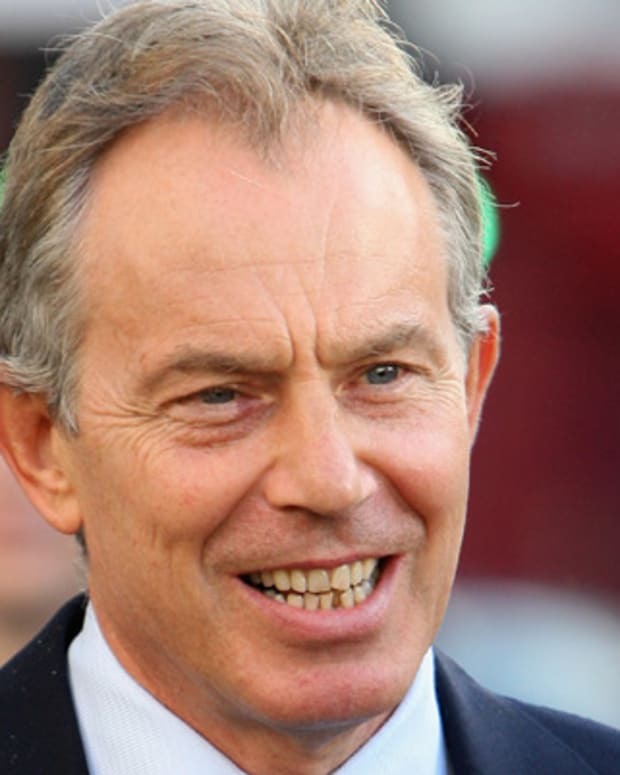 Tony Blair was leader of the British Labour Party from 1994 to 2007, and prime minister of the United Kingdom from 1997 to 2007.